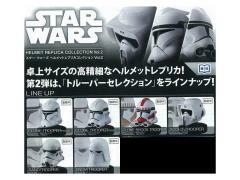 Get ready for Bandai's second great selection of "Star Wars" helmets! 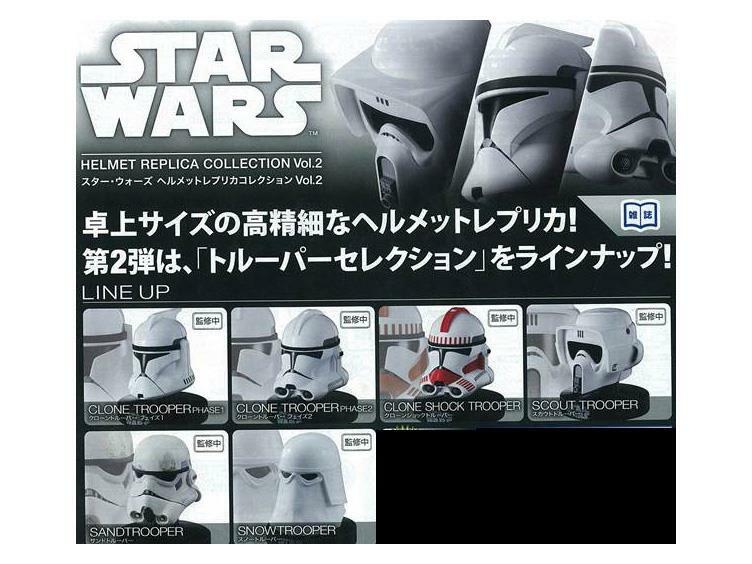 Each is about 3.75” (7cm) tall, and six different helmets are available: the Clone Trooper Phase 1 and Phase 2, the Sandtrooper, the Snowtrooper, the red-marked Clone Shock Trooper and the Scout Trooper. Sold by the randomly-packed box of 6.